You can Integrate SMS into Infusionsoft using ClickSend. This also supports our other products like Fax, MMS, Voice, Post and Email Marketing. Let us know if you need any help with the setup. You can add our API directly into Infusionsoft to send SMS. 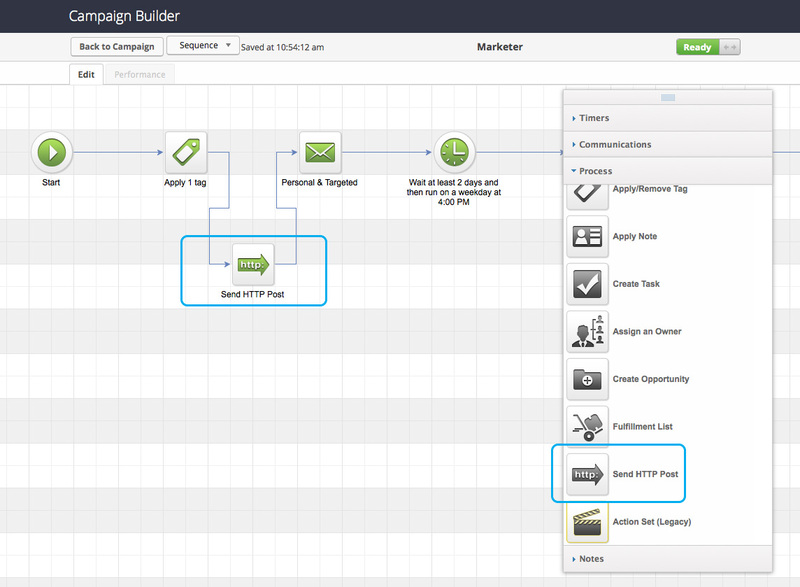 Within each Infusionsoft campaign toolbox under "Process" there is a function called Send HTTP Post. We can use this to call the ClickSend SMS API and send a text message. To integrate, drag the Send HTTP Post item into your campaign sequence and then click on it. You will see a field to enter a POST URL. Under this field you will see another field called Name / Value Pairs, you can add as many as you like using the + button. This is where we define the parameters of our message. username: your ClickSend username from here. key: your ClickSend API key from here. senderid: the from name/number (leave blank if US/Canada - More info). If using the Infusionsoft test function, whilst utilising a variable, it will give a 500 error as it will not be able to find a valid mobile to insert. To test, replace the contact number variable with your phone number. Contact out support team 24/7. We can setup debugging to see exactly what's going wrong.